Another sugar-free goodie to hand out on Halloween. oooh.. u posted it... ok then!!!! 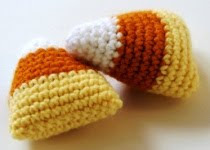 YAY I SHALL MAKE A CANDY CORN!!!!!!!!!!!!!!!!!!!!!!!!!!!!!!!!!!!!!!!!!!!!!!!!!!! lol... glad you found the pattern!